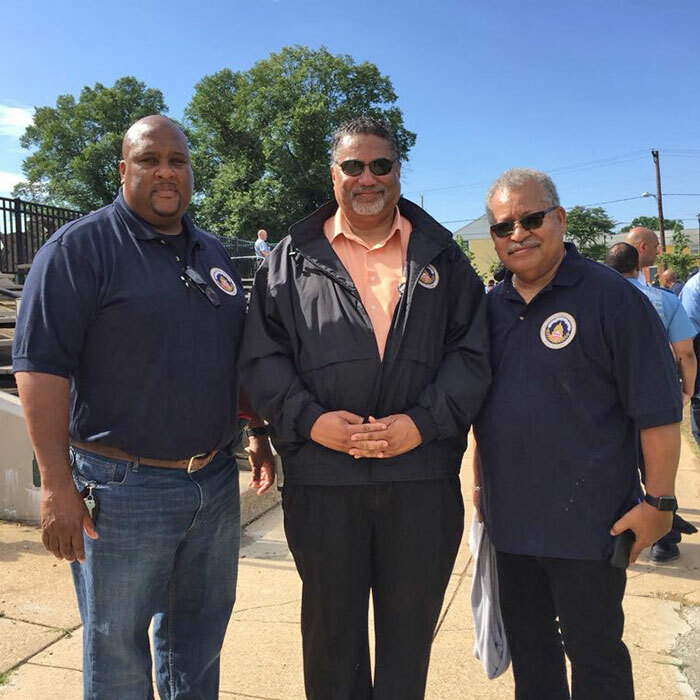 On Friday, June 1, 2018, officers and employees of Court Services and Offender Supervision Agency (CSOSA) and the Metropolitan Police Department (MPD) joined forces for a community clean-up event, kicking off the District of Columbia’s Summer Crime Initiative and building on the longstanding public safety partnership between CSOSA and MPD. 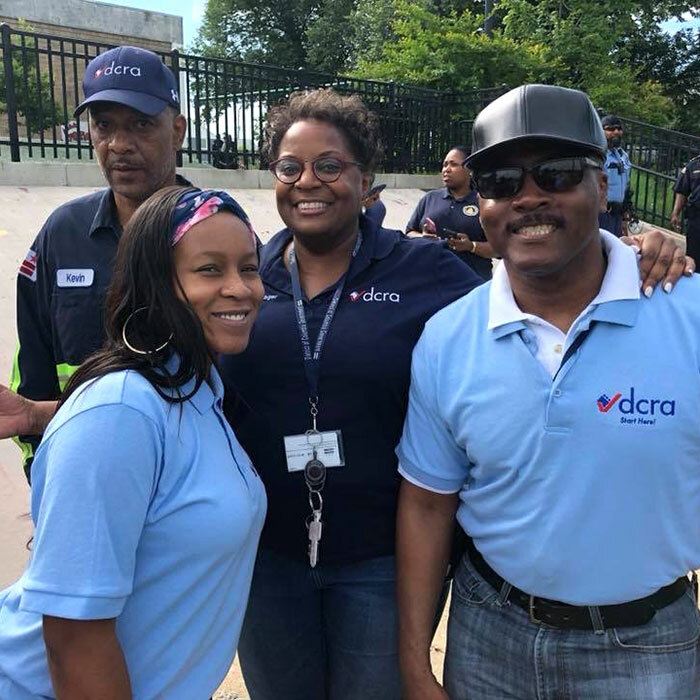 The District of Columbia Department of Consumer and Regulatory Affairs (DCRA) also participated in the community service event. 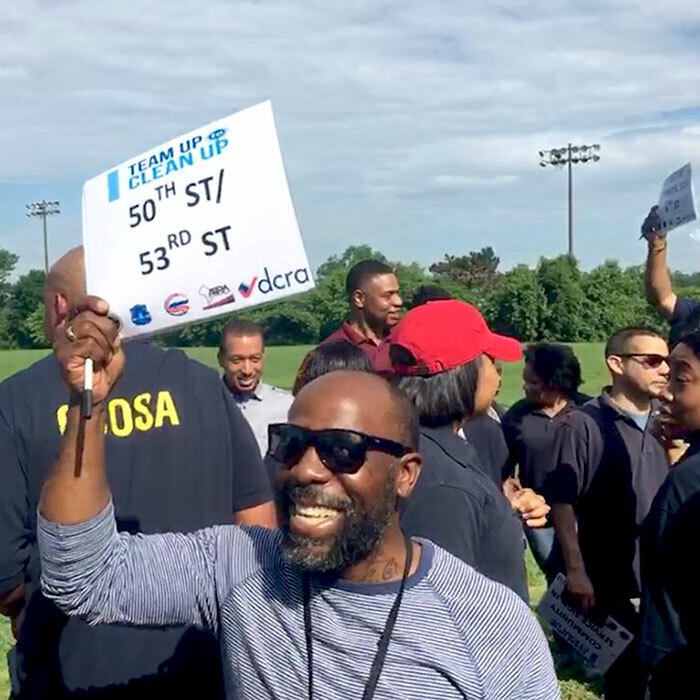 #TeamUpToCleanUp volunteers met to clean up trash and separate recyclable debris from MPD-selected areas of the 5th, 6th and, 7th Districts. 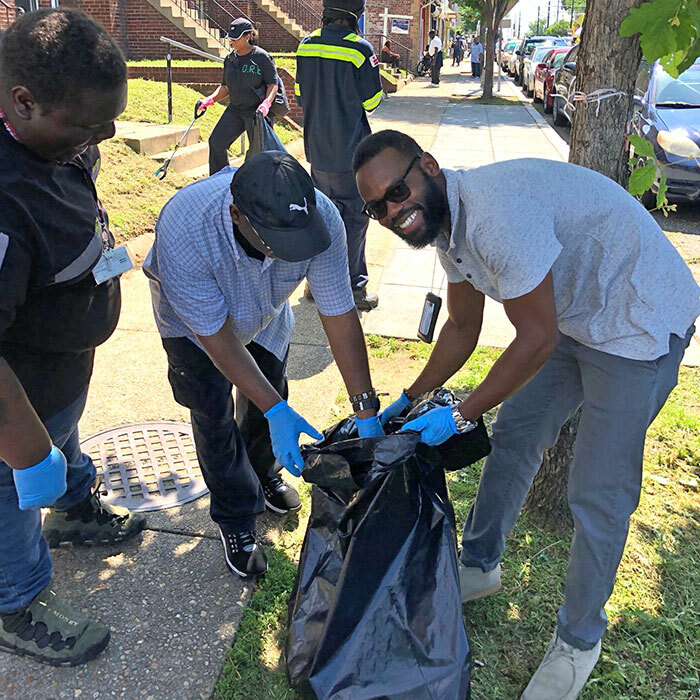 During this day of service, volunteers and residents not only cleaned up, but also supported a sense of community pride by decreasing litter and trash and bringing awareness to the city’s recycling program and quest for environmental wellness. 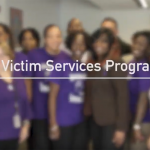 As the temperature rises, the incidence of crime often increases as well. 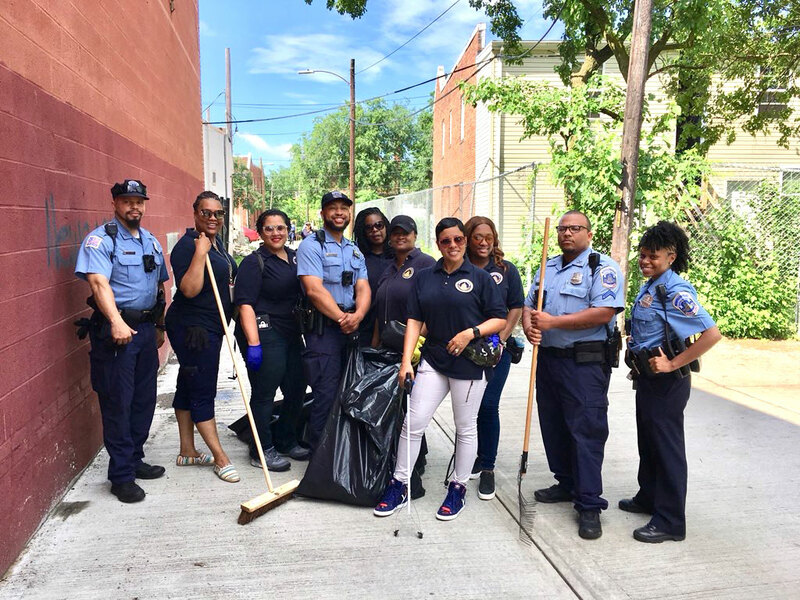 This Team Up to Clean Up event marked the start of CSOSA’s Summer Crime Initiative. 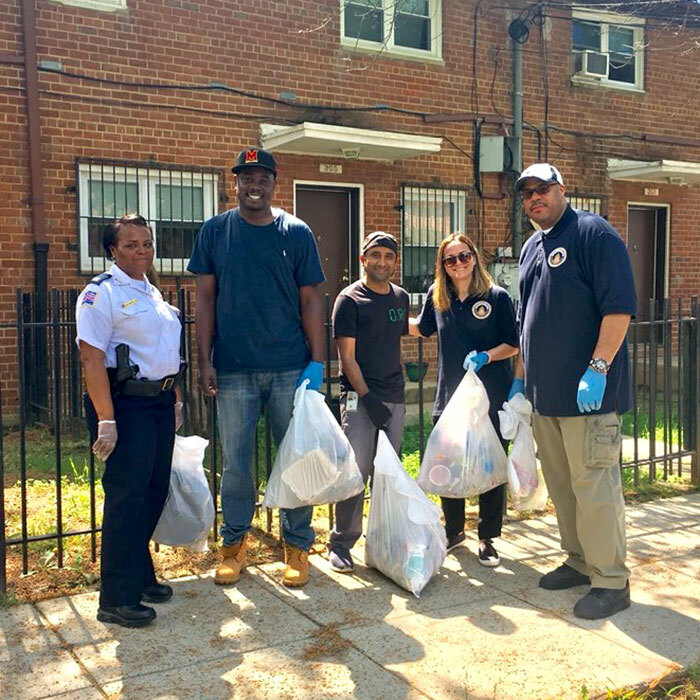 Community outreach activities, clean-ups, Saturday reporting and programs for those under our supervision, accountability tours, neighborhood knocks: these are a few aspects of our comprehensive, evidence-based efforts to promote public safety. 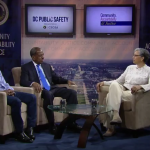 We will also continue to partner with MPD for its Summer Crime Initiative activities.